Our petite pajamas were so popular they sold out. Try a search to check out fresh, new styles. Relax in the comfort of petite pajamas from our large and stylish assortment. 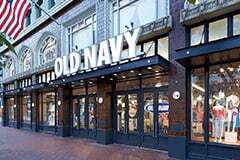 Find petite lounge pants, hoodies and more in this fabulous selection from Old Navy. Choose from women's pullover hoodies in solids and subtle striped fabrics and comfy zip hoodies. Our lounge pants are the ultimate for a comfortable and fashionable fit. We offer loungewear that is made in white, black, gray, and more so you can mix it up for something different every time. The petite lounge wear from Old Navy is made from soft, lightweight fabric. Discover a variety of soft materials which have been selected for our loungewear for amazing comfort. We have hoodies and pants made from jersey, velour and cotton blends. You’ll love the detailed touches on these garments that include rib-knit finishing on cuffs and waists, full length zippers and relaxed fit through the body. Look fetching and feel wonderful in pants and tops from the pajamas for petite women at Old Navy. We offer the ultimate in comfy clothing to wear when relaxing around the house, exercising or running errands. Our flattering loungewear is great for yoga, exercise workouts, running or dance class because you can enjoy the freedom of movement that these fabrics offer. Who doesn’t love a terrific pair of lounge pants or tops? If you are watching television, cooking or doing some cleaning, the soft jersey hoodies and lounge pants will be your favorite. Wear our lounge pants with tees and tanks then add some sandals for a cute summertime outfit. Our clothing always looks great with athletic shoes and jewelry and is so well made that it's easy to move from the gym to real life. Old Navy ultra-comfortable petite PJ is cut by experts to fit just the way you want.